Unison organised a memorial event for Eric. It took place on February 8th, 2017, at Congress House, followed by drinks at Unison Centre. There were lots of great speeches, including from Jack, Eric’s son and Les, Eric’s oldest brother, who gave people who did not come to Eric’s funeral the chance to hear the beautiful words they spoke then. We also had speeches from other friends, including the one below from Eddie Brand, who is Chair of the London Ambulance Service Unison branch. As you have been told, my name is Eddie Brand. I’m Chair of the London Ambulance Service Branch of Unison. I have also been called Eric’s “knuckle dragging henchman”. This was after we attended a meeting in our service during the introduction of Agenda for Change. 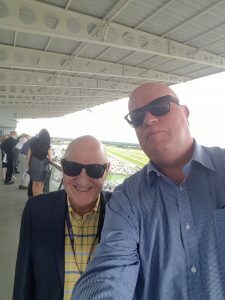 And on a website which will remain nameless a description of who attended was “Eric was there with his knuckle dragging henchman” and a “twaddle spouter in a dodgy shirt”. I believe they were talking about me as the “knuckle dragging henchman”! I have been in our service for nearly 30 years and one of my regrets is that I only knew Eric for just over 20 years and not the full 30. And as we all know it should have been much longer, as this great man was taken from us all much too soon. When we first met we didn’t hit it off straight away and we would often disagree about things… but after a while I started realising I needed to grow up as I knew Eric was almost always right. Only a little while after we met, Eric and Phil approached me to stand as our Branch Chair and from that moment on we all worked well together. But it was easy because Eric was there to guide all of us with his experience and his LAS knowledge was second to none. Eric was our Branch and if any of the committee needed any advice Eric was the first person to be asked. On a personal note, not only could I speak to him about work related issues but also personal issues because he was a great friend. I have so many wonderful memories of being and working with Eric. We had so many laughs. One time in Glasgow at Unison’s national conference many years ago we were asked by one of our Branch Committee to attend a vegan restaurant. So I and my colleagues went along knowing that we could get a kebab on the way home! When we arrived not only was it a vegan restaurant but it was also a poetry night! Not any old poetry but “Rubbish poetry”. I ordered “air pie”. Well that’s what it seemed like: two bits of pastry with some lentils in the middle! But this poetry was still going on and getting worse! Some of our favourite moments were Eric and I enjoying a pint together in the evening after a late meeting. We both used to get a train from Liverpool Street and the conversation would be… “shall we have a quick pint before we go home?”. So whoever bought the first then the other person obviously had to buy one back…..8 pints later we were both running for the last train! But we had some great honest conversations and if some LAS managers’ or even some people in our unions’ ears were burning them evenings: you know why. But Eric would also be very complimentary of people if they did the right and honest thing in making our Service and our union great. As already has been spoken about Eric loved our service and our great union. But most of all he loved his family, his partner Kathy, and his very close friends and he would always let you know because Eric was a great loving man. Once we got to Unison Centre we were treated to more speeches, and I am very grateful to Unison’s past President Wendy Nichols, for sending hers to me to put up on this site. Funnily enough, daunting though it is to hear this from someone who lost her husband nine years ago, it does actually help. It does help to know that it is normal to feel enormous grief that does not fade, that takes you by surprise when you’re not expecting it, and that reduces you to an incoherent, blubbering wreck. And to know that it is also possible to carry on with living as if life was normal. And that that’s all you can do. Thanks for being here and showing your appreciation for Eric. This is a chance for us to remember exactly how much Eric meant to us here at UNISON. I’m so pleased that we have many of Eric’s family and friends with us here as well. We know how much he meant to you and hopefully you also know how much he meant to us his Unison family. Eric will always have a special place in our hearts. I know I speak for us all here in saying that we continue to feel the pain of the devastating loss of Eric every day. And I don’t think it’s too much to say that there will always be an Eric-shaped hole in this union. But given who Eric was, it’s also right and proper that we should celebrate his life too. Everyone here will have their own Eric story: Their own tale of how they knew him… What he did for them… And quite probably what mischief he got up to! But I think it’s also fair to say that many of Eric’s feats in life have only come to light since his passing. In some ways this is a cruel way for things to happen as it means that perhaps he never received the recognition he deserved. But it also seems appropriate – as Eric was not one to harp on about his own achievements – substantial though they were. For instance, Eric’s 42 years in the London Ambulance Service were not marked just by his commitment to his union, but of course to the patients he looked after and saved. This was brilliantly demonstrated by the fact that he received the Queen’s Award for bravery when he lay down with a patient under the live rail tracks on the tube, while a train passed over them so that the patient could be freed. I’m not sure which aspect of this story is the more telling: the immense courage and compassion shown by Eric, or the fact that many people – I suspect some here – were not even aware of this story until very recently. But that’s just the sort of person Eric was… Put simply, he always put others in front of himself. Whether this was patients, his union or his friends. 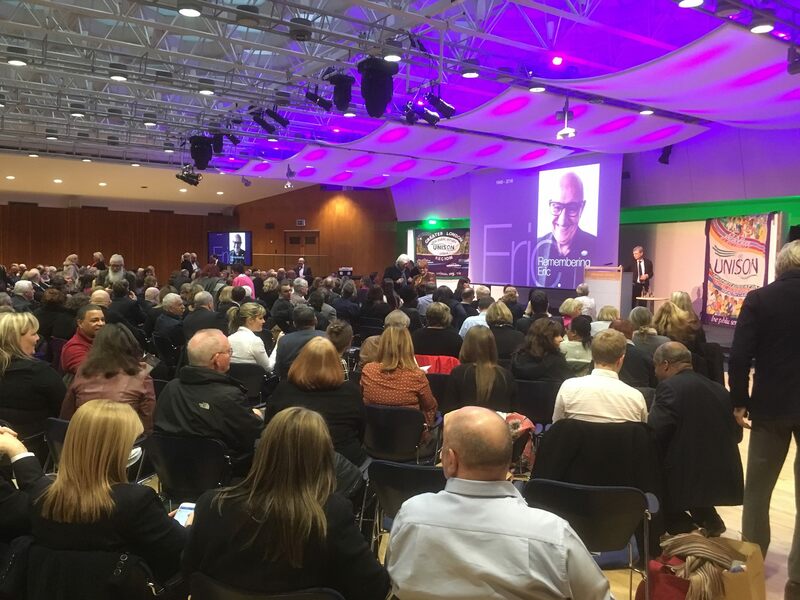 You can see in what high regard Eric was held from the huge stream of posts UNISON received on our website and on social media when we set up a space for people to leave their memories of Eric. I think at one point they may even have had to take it down briefly as it was becoming overwhelmed with the number of testimonies! 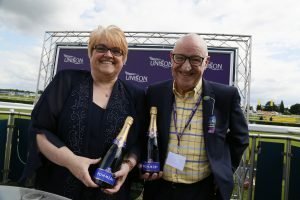 Many of these were from UNISON members: Some who knew Eric well as a friend… Some who had met him and were impressed with his work for the union… And some who merely knew him by reputation and yet were still moved to show their appreciation. Many other MPs, many other trade unions… the list goes on. Cuba was a country and a cause very close to Eric’s heart and you can see from this just what his actions meant for them. Here at UNISON, we feel similarly blessed to have worked alongside Eric. He served London Ambulance Service branch as their branch secretary. He became an NEC member. And this year he became our President. Many have pointed out that Eric was not someone who sought high office. And I can attest to that personally, as Eric had to be convinced, by people like me, that he should become President, on a number of occasions. But I’m glad we did convince him, because in the unfairly short space of time that he held the top position in our union he was a source of great inspiration – to our members, to our activists, to our staff, to the trade union movement. Part of the reason for this was that you always knew where you stood with Eric. And you always knew he would stand up for you. His loyalty was unquestioning and his generosity of spirit knew no bounds. For me personally, I spent much of my time with Eric since I came onto the NEC in 2009. When I became chair of the staffing committee in 2011, Eric was my vice chair. They say that everyone has a right hand man but Eric was my left hand man as well. And then particularly over the last three years, when we were both a part of the UNISON presidential team. After joining the presidential team following the first ever all female team in our history who had fondly (or maybe not!) been described as the 3 witches of eastwick, upon Maureen leaving what would we do! Eric, always quick off the mark said we could be known as the 2 witches and the Warlock. But his charm and his wit never obscured the fact that Eric was deadly serious about UNISON and his commitment to our members. We are attempting to honour his memory in the most fitting ways possible. In the short term this means continuing with Eric’s chosen Presidential charity for the year, Mind’s Blue Light Campaign. But we are also looking at ways in which we can provide a more permanent memorial to Eric here at the UNISON Centre. Either way, we will never forget Eric – we couldn’t do even if we wanted to! To finish, many people have pointed out how proud Eric was to have been a part of UNISON. But I want to turn this on its head by saying how very proud UNISON was – and is – to have been a part of Eric. To Eric’s Family but especially to Rhian and Jack thank you for sharing your Dad with us. I know how immensely proud he was of you. You were his world and he was yours. I know you often received gifts from your Dad, as Jack said at the service, so I want to carry on the tradition as the North Yorkshire Branch Secretary and hand over a small gift and as tradition. Yes it has the Unison Logo! So let’s raise a toast to the wonderful Eric Roberts. Dad, partner, brother , uncle and Unison President and Friend.